In the same early-1973 timeframe as the Micral made its debut, Nate Wadsworth and Bob Findley, founders of the brand new Scelbi Computer Consulting (SCientific ELectronic BIological, pronounced "sell-bee"), of Milford, Connecticut, designed the 8008-based Scelbi-8H microcomputer, which is now recognized as being the first microprocessor-based computer kit to hit the market (the Micral wasn’t a kit, as it was only available in fully assembled form, while Scelbi was available both in kit-form and as fully assembled). The first market announce for Scelbi-8H was a tiny advertisement in the back of the March 1974 issue of QST, an amateur radio magazine. According to the advertisement, Kit prices for the new Scelbi-8H mini-computer start as low as $440! Actually with 1K of RAM the price was some $500. Scelbi-8H was based on the Intel first 8-bit microprocessor—8008 (launched in April, 1972), the predecessor to the Intel 8080 CPU, used in the Altair 8800. The 8008 was capable of addressing 16Kb of memory and started the design of the first series of microcomputers. The Scelbi-8H had 1K of RAM as a minimum, and an addition 15K of RAM could be purchased for $2760. It had a cassette tape interface, as well as Teletype and oscilloscope interfaces. After the first advertisement in the QST magazine, Scelbi-8H (see the lower image) appeared in Radio-Electronics and later in BYTE magazine. Scelbi-8H soon had competitors. In July 1974 Radio-Electronics published plans for a similar 8008 machine, called the Mark-8, that skilled hobbyists could fabricate for the cost of parts. Companies like MITS started selling systems based on more capable processors, such as the 8080 used in the MITS Altair 8800. 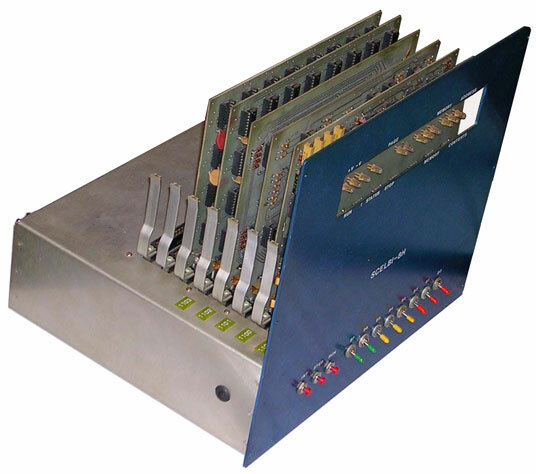 SCELBI responded by introducing the Scelbi-8B model with 16K of memory (the upper limit of the 8008) and more software available for it. No high-level programming language was available for the Scelbi-8H in the beginning (see the Users Manual of Scelbi-8H). Wadsworth wrote a book, Machine Language Programming for the 8008 and Similar Microcomputers, that taught the assembly language and machine language programming techniques needed to use the 8H. The book included a listing of a floating point package, making it one of the first examples of non-trivial personal-computer software distribution in the spirit of what would much later become known as open source. Because of the similarities between the 8008 and the 8080, this book was purchased by many owners of non-SCELBI hardware. As the Scelbi-8H did not sell well, it was discontinued by December, 1974, and the next year an improved business-market version (named Scelbi-8B), was introduced. Some 200 Scelbi-8B boxes were produced in 1975 and sold at about $580 each, but it also did not become a big market success (as the production cost of the kit was about $1000). The Scelbi Computer Consulting discovered that they made more money selling software books than hardware, so by the late 1970's the company had discontinued making hardware and switched to highly documented software published in book form, including many games, a monitor, an editor, an assembler, and a high-level language dubbed SCELBAL (a dialect of BASIC, that incorporated Wadsworth's floating-point package), to compete against Altair BASIC.